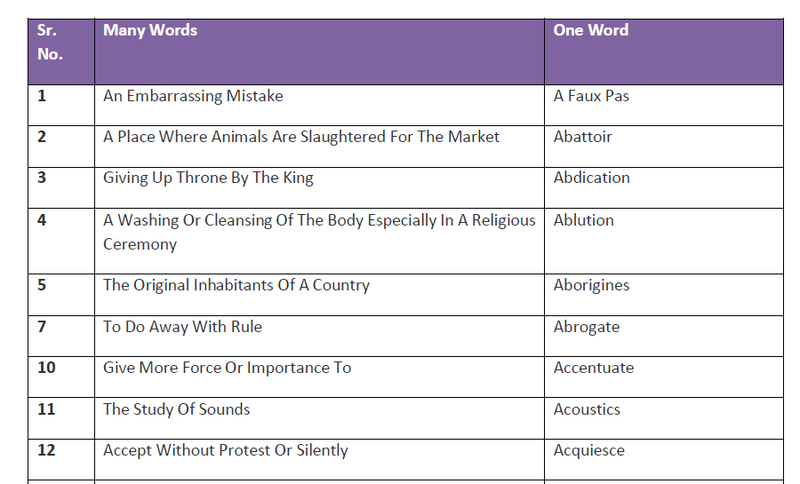 Hello Friends, Today we are sharing with you 700+ Important One Word Substitutions. This pdf contains 700+ most important one word substitutions which were asked various competitive exams like SSC CGL, CHSL, MTS, Bank & Other examinations. This is very helpful for upcoming various exams. You may download pdf from the link provided given below.